This morning, Grant High School will be conducting in an emergency drill. This will be a lockdown drill following LAUSD guidelines. Be advised that offices may be closed during the drill. The safety and welfare of our students and staff are our highest priorities. To provide schools an opportunity to practice emergency response procedures, Grant HS will participate in a emergency preparedness drill on Friday, November 2nd. Please be advised that students will be dismissed at the regular time on this day. The goals of the training drill are to improve our ability to protect students, save lives, and reduce injuries in the event of an actual emergency. 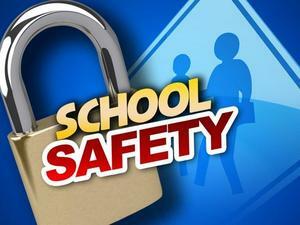 As part of the drill, the students and staff will participate in the activation of our school’s Safe School Plan. Please make sure that all contact information for your child is current at school, so that in the event of an actual emergency, we can reach you. An email and text message will be sent to all families during the drill. If you do not receive the text and e-mail, we may not have your most updated information on file. You can update your contact information anytime via the LAUSD Parent Portal (see upper right hand corner of Grant website for a link) or in the Attendance Office.